Expense types are the different categories of expenses. Application administrator can create different expense types according to their organization needs. Expense Type also allow administrator to define either that expense types require quantity input in expense entry. In case of “Car Mileage” where users are required to enter “Miles/Kilometer” in expense entry, administrator can enable quantity field with its own defined caption in expense type. 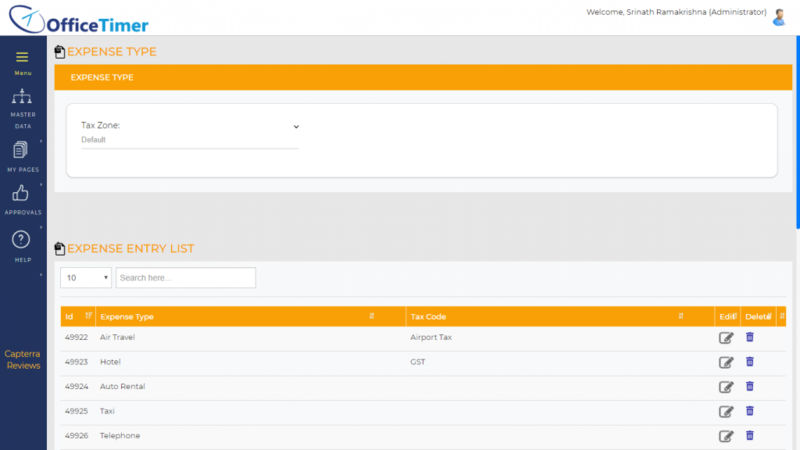 Enter expense type in “Expense Type Information” form which you want to add. Enter Quantity Caption in case if this expense type is quantity based. Click on [Add] to add this expense type in OfficeTimer system. In [Expense Type List], click on [Delete] link of record which you want to delete. In [Expense Type List], click on [Edit] link of record which you want to modify. Update your required modification in [Expense Type Information] form. Click on [Update] button to update this record.